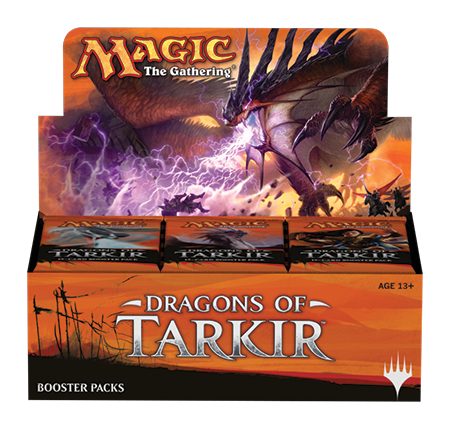 I love releasing the booster pack packaging images early in the preview cycle, because they lead to so much fun, wild speculation about just what those images mean. Is that a new mythic rare? A common? What story can I glean from these scant images I'll be seeing on shelves for months to come? The answer, as always, is: some. Imagine a winky face emoticon after that if you will. Clearly I enjoy being coy with these. But on to pretty pictures! 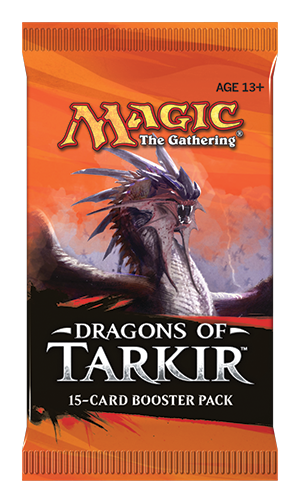 We promised you, again, and again, and again, that this set was about DRAGONS, dragons, and Dragons. Yes, all kinds of capitalization. 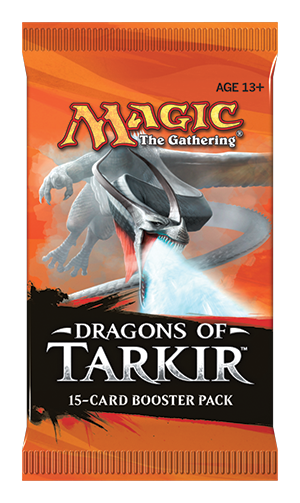 And if you haven't gotten the point yet, well, we hit that pretty hard on the booster packs, too. But it's not just about dragons. I mean, it's mostly about dragons. But these two don't look much like dragons at all, do they? 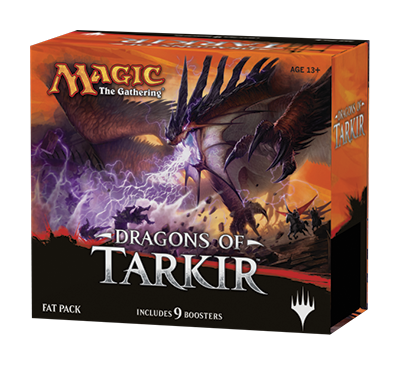 As we often do, we'll also be selling Fat Packs with Dragons of Tarkir. 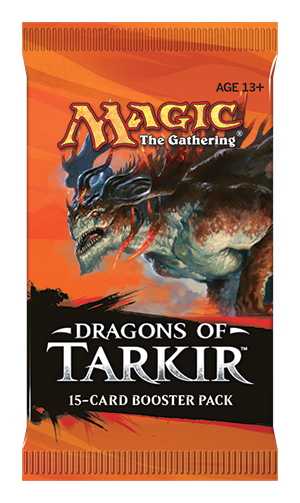 The boxes contain nine booster packs and a Spindown™ life counter, and there's a pretty safe bet, I would guess, that those packs contain some Dragons. 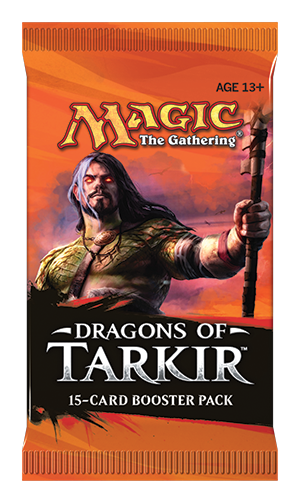 An Event Deck is also returning with Dragons of Tarkir, but we're not quit ready to show it off yet. 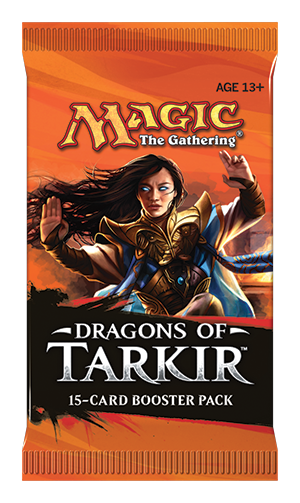 We've also got Intro Packs coming as well, but we'll show those off—complete with the face cards—in tomorrow's Arcana. Because it lets me be coy for just a bit longer. 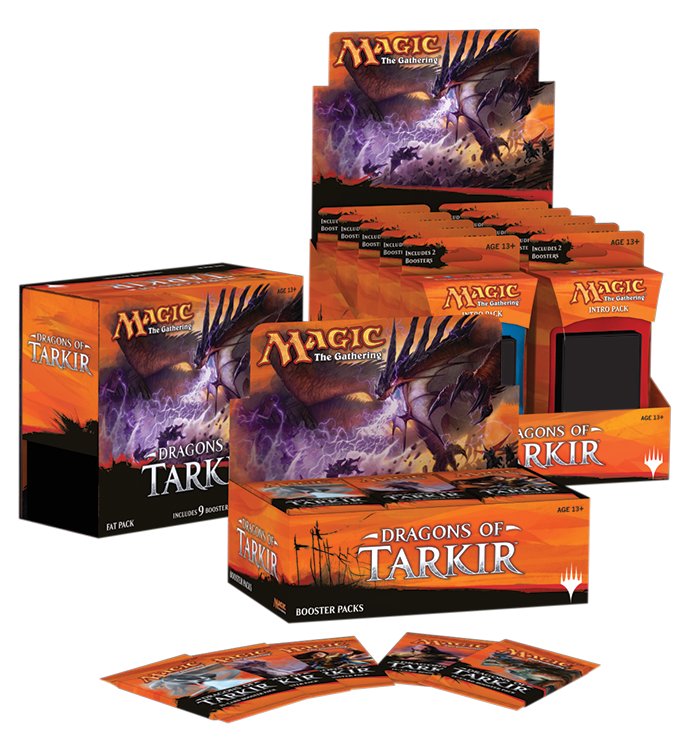 Instead, have this picture of everything you can pick up when Dragons of Tarkir releases in a store near you on March 27.